The statements come a couple of days after a visibly offended Kumaraswamy offered to quit his post. 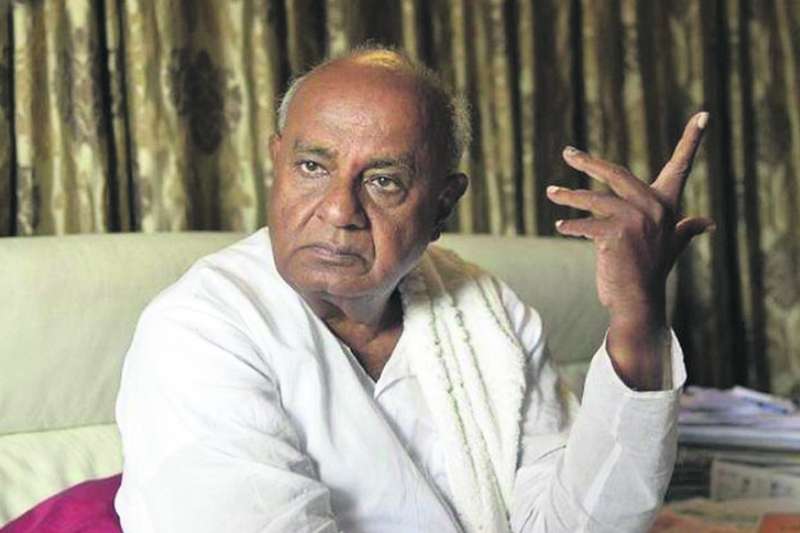 Gowda's warnings are seen as a reaction to Congress legislator ST Somasekhar's recent remark that Karnataka would have witnessed “real development” of former Chief Minister Siddaramaiah had received another term. His party colleague, C Puttarangashetty, went a step further by sayng that Siddaramaiah is the only chief minister in his book. Last week, Kumaraswamy asked its alliance partner to control its lawmakers because they were “crossing the alliance line”. He said, “If they want to continue with the same thing, I am ready to step down. They are crossing the line,” adding that such wayward behaviour will only hurt the alliance partner. The Congress tried to make amends in the hours that followed, with state unit chief Dinesh Gundu Rao saying “statements crossnig the lakshman rekha of coalition politics” will not be tolerated. He also said that Somasekhar has apologised for his remarks. “I'm telling you all as well as the people of the state to have faith in me. Yes, I did say that I will resign due to certain developments. I said that just because a few people were talking against me,” Kumaraswamy said.